An interesting phenomena that has been around for some time recently caught my attention. It happened as I strolled past a gentleman with a WVU sweatshirt and a Pittsburgh Pirates hat on. A true West Virginian would rather die than wear anything Pittsburgh related. It’s like a Michigan fan wearing a Ohio State hat or a Yankees fan wearing a Red Sox jersey. How do West Virginians rationalize supporting Pittsburgh teams? Apparently they cite a lack of proximity to any other professional teams as their reason, but ultimately what they’re doing is sleeping with the enemy. You would never find me at a Steelers, Pirates or Penguins game. 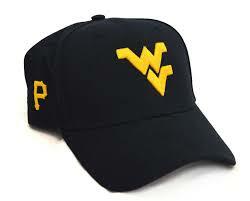 West Virginia Black Bears’ games are also out because they are an affiliate of the Pirates. I despise everything Pittsburgh! You’ll never catch me cheering alongside snooty, uppity Pittsburgh fans! I eat my french fries plain because I won’t support the local ketchup industry. There’s often ketchup on the table at restaurants; I kindly ask that it be removed, particularly if it’s Heinz brand. As a young man, I was enchanted by Andy Warhol’s pop art collection and thought that it was iconic in its simplicity. When I found out that Warhol was born and raised in Pittsburgh, I turned my nose up to his art entirely. As a child, my family took me on a day trip to Pittsburgh. What was supposed to be a fun family outing turned into illness and vomiting the whole time. I have a natural aversion to the place. Apparently there are bus trips that you can take from Morgantown, WV to Pittsburgh to attend games at PNC Park and Heinz Field. That bus should have zero people on it every day! Who in the hell would want to go to Pittsburgh? The only time I even consider going to Pittsburgh is when I feel like taking a big, stinky dump in overcrowded, disgusting streets. It’s a repugnant, awful place, and the only thing worse than Pittsburgh are the people from Pittsburgh. You’re probably wondering, “Is old Delmus suggesting that I’m not a WVU fan if I also support Pittsburgh professional sports teams?” Yes, that’s what I’m suggesting! I’m a real WVU fan and a real Mountaineer, and it’s my belief that anyone that wears the gear of Pittsburgh teams or supports them in any way by watching or attending their games are not true fans. Let’s Go Mountaineers! Pitt? Well, they can eat sh*t!